Can lawmakers convince hospitals to support Medicaid buy-in? Ahead of the 2020 elections, liberal advocacy groups at the state level are pushing Medicaid buy-in—a public option Democrats increasingly view as a softer, safer policy alternative to "Medicare for all." But healthcare providers are averse to even this more modest proposal, especially hospitals that don't want to lose commercial reimbursements to scantier Medicaid rates. In New Mexico, more than 40% of residents are already on Medicaid, and the state is one of the pioneers in proposing Medicaid buy-in policies. Advocates hope the state Legislature will consider such a policy early next year. "Increased coverage is a good thing," said Jeff Dye, president of the New Mexico Hospital Association. "But the devil is in the details." Medicaid buy-in would allow people who earn too much to qualify for expanded Medicaid to buy a Medicaid managed-care plan instead of commercial coverage. Expansion states now cover adults who earn up to 138% of the federal poverty line through Medicaid. People earning up to 400% of poverty can use subsidies to buy plans on the Obamacare exchanges. Depending on the design of the Medicaid buy-in proposal, Medicaid coverage could be more attractive to people than an individual market bronze plan with high deductibles and co-pays. 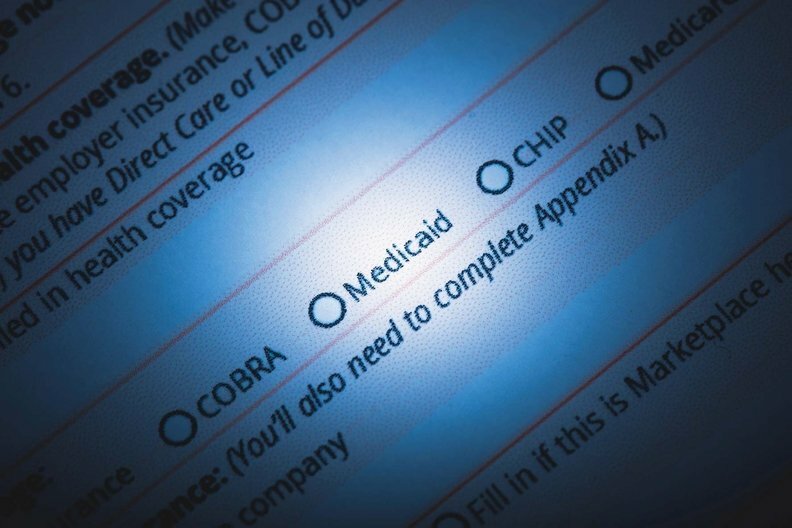 Strategists at the consulting firm Manatt envision that states could offer Medicaid managed-care plans on or off their Obamacare exchanges. For the on-exchange model, states may need to apply for a 1332 state innovation waiver to make it work with the Obamacare subsidy structure. For the off-exchange model, states could create a dual 1115 Medicaid and 1332 "super waiver" so people who want the Medicaid plan can use their tax credit subsidies to pay their premiums. The idea is gaining momentum: 10 to 20 states are in various stages of considering Medicaid buy-in, and at least six states have proposals out in their legislatures. But the hitch for the hospital industry is the money: Will they lose out on commercial payments for the individual market patients who opt for Medicaid instead? The answer is not necessarily, according to Chiquita Brooks-LaSure, a managing director at Manatt Health who is helping states forge their own variation of the policy. She acknowledged states that are serious about the policy may have to raise their Medicaid reimbursements in order to get providers on board. Colorado floated the idea of using the Medicare rate instead. "When states are thinking of a Medicaid buy-in, they don't necessarily mean Medicaid reimbursement rates," Brooks-LaSure said. "A buy-in needs to have providers participating, and you need to be able to ensure that the network is adequate. Part of that could be that the rates need to be higher." Dye noted that in New Mexico, only 20% of residents have commercial coverage through employers or the individual market. The state's providers don't want to see bleed-out from that already small group. Medicaid buy-in could cover people who are already uninsured, he said, but it could also erode the commercial pool. "That's speculation, it's hard to say," Dye said. "But as fragile as our commercial market is, that's a legitimate concern." Colin Baillio, director of policy for consumer advocacy group Health Action New Mexico, is helping to steer his state's proposal on the ground. He doesn't see the Medicaid buy-in concept as threatening the commercial market, but rather as an affordable option that will cover the currently uninsured. He said in his state, Medicaid buy-in is the long-term, sustainable option based on the numbers. About 45,000 New Mexicans get coverage through the exchanges, versus the more than 800,000 who are on Medicaid. "We think building off the Medicaid program would create a much bigger pool of people, whereas the dwindling enrollment in the exchanges could be a problem long term," Baillio said. He is also open to raising Medicaid reimbursements, but from his viewpoint the potential trade-offs for providers in potentially lower payments could also pay off because more people with comprehensive benefits mean less bad debt for hospitals. New Mexico's Medicaid already pays out higher-than-average reimbursements, between 85% and 95%, according to Dye. Still, Baillio said the state could be open to boosting payments as a long-term investment. "If we open the program to more people, we can make the case to the state that we should have adequate payments, a little bit more risk could go a long way," Baillio added. "We want it on the table—whether we set the Medicaid buy-in rates at Medicare or set those rates across the Medicaid program—for making the bigger investment." On the flip side, some insurers also have questions about how people abandoning commercial coverage for Medicaid would affect their market. "If the benefit structure were identical (between commercial and Medicaid plans), then you would have a price difference," an insurance industry source told Modern Healthcare. "If you have a Medicaid-like product offering the same benefits, you could have adverse selection issues." Since the logistics of Medicaid buy-in aren't fully worked out, it's unclear what that adverse selection could look like, Brooks-LaSure said. For example, high-deductible bronze plans for which people can't use cost-sharing reduction payments to offset their personal costs: would Medicaid options make them obsolete? She said it's too soon to tell. "I would say that advocates looking at the buy-in want to make premiums and deductibles more affordable," Brooks-LaSure said. New Mexico's hospitals, though cautious, are open to the Medicaid buy-in idea and discussing how it could work with Baillio and others. In Minnesota, Gov. Mark Dayton and lawmakers earlier this year proposed a public option through its basic health plan, known as MinnesotaCare. The proposal followed a 2% jump in the state's uninsured rate since 2015 despite a strong economy, and Dayton estimated 100,000 could qualify. But hospitals are pushing back because, like Medicaid, MinnesotaCare pays much less than commercial insurance. The program currently covers about 100,000 Minnesotans between 138% and 200% of poverty. "This buy-in proposal could jeopardize the sustainability of our healthcare delivery system because MinnesotaCare payments to providers are significantly below commercial payments and below the costs of providing the care," said Emily Lowther, communications director for the Minnesota Hospital Association. "Providers have accepted these rates because of the needs and vulnerability of the population MinnesotaCare serves." Lowther also predicted expanding eligibility to the program could "destabilize the individual and small-group insurance markets." The healthcare industry, representing nearly one-sixth of the economy and by far the largest domestic policy stakeholder group, makes health policy difficult and often impossible to navigate for Congress and the executive branch. But as both right- and left-wing groups turn to the states to try to resolve spiking costs, they will also have to figure out how to deal with industry skepticism. Tom Kise, director of public affairs for the United States of Care—the advocacy coalition founded by Obama administration top CMS official Andy Slavitt to help states try to resolve healthcare affordability—is optimistic. New ideas won't ever get universal agreement, Kise said, but working through disagreements can improve policies in the long term—which ultimately is one of the advocates' goals. "By bringing different constituencies to the table early, you can work these concerns out and hopefully end up with a more durable solution—a solution that lasts beyond any one election cycle," he said. "We view one of our challenges as being a bridge to these various constituencies. To bring them to the table and find common ground."